1. Botox and fillers work the same way. No, Botox (a brand of anti-wrinkle injection) and dermal fillers work differently and treat different concerns. 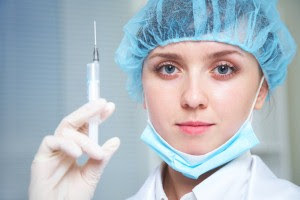 Anti-wrinkle injections (Botox and Dysport) are muscle relaxants. Dermal fillers restore volume and hydration. 2. Botox and fillers can remove movement and emotion from the face. Dosage is individualised to the client. The perfect amount of anti-wrinkle injections and dermal fillers should be tailored to allow natural expression. Cosmetic injections are not physiologically addictive; however, people may like the result so much that they work it into their grooming budget. Everybody has a different pain threshold. Typically ice is sufficient to take the sting out of an anti-wrinkle treatment. When a client is having dermal fillers, we apply a pharmaceutical grade topical numbing cream prior to the treatment. The product itself also has an in built numbing agent, Lidocaine, to help alleviate any tenderness through the procedure. 5. It is easy to tell who has had injectables. Ideally no one should suspect you have had cosmetic injections. The goal is to look like you are well rested and rejuvenated. Depending on the level of your dosage and what product is used (Botox or Dysport), prices will vary. 7. All types of injectables are the same. Laser Clinics Australia offers two different brands of anti-wrinkle injections, Dysport and Botox. There are slight differences in dosing and costing, but are both very similar in that they are both muscle relaxants, which create a smooth, rejuvenated and youthful appearance. There can be some downtime with cosmetic injections; however, they tend to be mild and transient. 9. If I stay out of the sun my botox will last longer. No, the environment will have no impact on the effects of your treatment. 10. Botox doesn’t last if you exercise regularly or aggressively . There is no evidence-based research to suggest that this is the case. If you are noticing that longevity may be an issue, it is important to work with your injector to find an appropriate and safe dose that is both aesthetically pleasing and lasting. 11. Botox can be poisonous. Botox and Dysport are TGA approved, and have a multitude of therapeutic uses. For cosmetic purposes it is essential that an experienced and qualified doctor or registered nurse administers the treatment at manufacturers recommended dosage. 12. The effects of botox are permanent. Anti-wrinkle treatments typically last 3-4 months depending on the muscles injected and dose. As every client is different, the injector will create an individualised tailored plan to maintain a refreshed appearance. 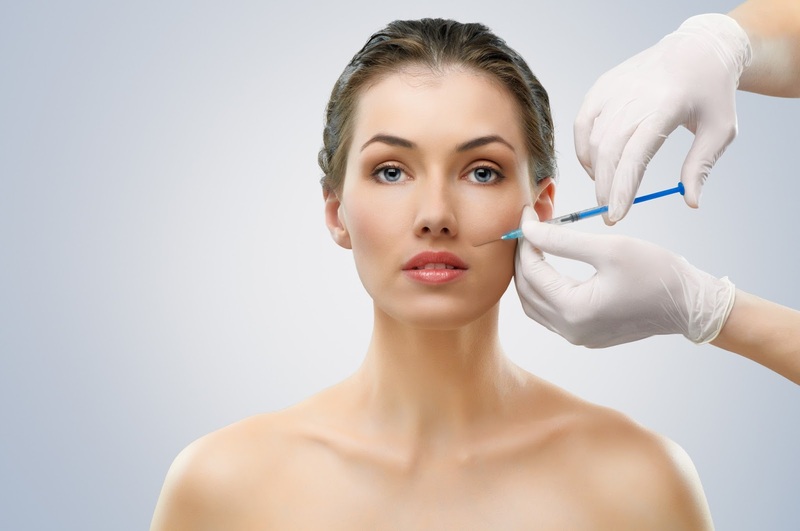 This may include incorporating dermal filler to achieve the desired aesthetic goal. FORT WORTH, Texas – April 12, 2016 – Despite injectable treatments like Dysport®* (abobotulinumtoxinA) 300 Units for Injection and professional techniques that enable natural- looking results, concerns and misperceptions are still holding women and men back from treating frown lines between the eyebrows. A first-of-its-kind survey commissioned by Galderma, a global leader focused on medical solutions in skin health, revealed that 74% of American women and men ages 30-50 would be more interested in treatment if results looked natural, not frozen. Despite reporting that a person with frown lines between the eyebrows looks stressed (39%), old (36%) and even angry (24%) and many realizing their face looks older than they feel, few are taking action to learn about treatment options that have natural-looking results. Less than 40% of Americans said they would be comfortable talking about their interest in treatment with a healthcare specialist. The survey also showed digital technology has transformed Americans’ perceptions of facial aging. More than 70% of respondents report the use of technology made them realize their face looks older than they feel. For many, these digital wake-up calls – seeing themselves in selfies (43%), tagged photos (33%) on social media or “Throwback Thursday” posts (33%) – make it hard to ignore their frown lines. *Please see full Important Safety Information, including Distant Spread of Toxin Effect Boxed Warning, at the end of this release. Of the individuals polled in the Break the Ice survey, a majority (64%) have noticed frown lines between their eyebrows as they age, first seeing these lines on average at age 34. Additionally, 77% reported noticing frown lines on others, such as their friends, family members and coworkers. A surprising 74% reported thinking about their face looking older one or more days a week. Men and women are more aware of their frown lines when they catch a glimpse of themselves in the mirror (70%) and get ready in the morning (56%). “Knowing that so many people worry every week about their frown lines between the eyebrows, but that so few are comfortable discussing treatment options – even with a healthcare specialist like myself – is unfortunate,” said Dr. Paul Jarrod Frank, a dermatologist in New York City, who joined with plastic surgeon Dr. Kaveh Alizadeh and dermatologist Dr. Marina Peredo to share the survey results. “No one should have frown lines that bother them when an injectable treatment option like Dysport® can provide natural-looking results,” added Dr. Frank. The Break the Ice survey is part of a larger consumer campaign from Galderma to show how, with the right healthcare specialist and the right products, people can get the natural-looking results they want. The Don’t Freeze Me, Dysport® Me advertising campaign currently in market speaks to the many people who want to lose their frown lines, but don’t want to lose themselves. It appeals to real people who just want to enhance their look – not change it completely. The campaign includes rich, interactive content about the real lives of the people featured in the advertisements who describe their journey and share their before and after results. This campaign represents a substantial investment in Galderma’s mission to deliver, in partnership with healthcare professionals, insight-driven education for consumers that empowers aesthetic choice and self-confidence. For more information about treatment options, visit www.DysportUSA.com. (www.wakefieldresearch.com) on behalf of Galderma Laboratories, Inc. among a representative sample of 1,001 U.S. women ages 30-50 and 1,000 U.S. men ages 30-50, between February 12th and February 19th, 2016. The margin of sampling error at the 95% level of confidence is +/- 2.2 for the total respondents. Dating back to 1961, Galderma is now present in 100 countries with an extensive product portfolio to treat a range of dermatological conditions. The company partners with healthcare professionals around the world to meet the skin health needs of people throughout their lifetime. Galderma is a leader in research and development of scientifically-defined and medically proven solutions for the skin, hair and nails. Strategic brands in the U.S. include Epiduo® Gel, Epiduo® Forte Gel, Oracea® Capsules, Clobex® Spray, Differin® Gel, Mirvaso® Gel, MetroGel® Gel, Soolantra® Cream, Vectical® Cream, Tri-Luma® Cream, Cetaphil®, Benzac® Acne Solutions, Excipial™ Skin Solutions, Qilib™, Restylane®, Restylane® Silk, Restylane® Lyft, Dysport® (abobotulinumtoxinA) and Sculptra® Aesthetic. For more information, please visit www.galderma.com and www.galdermausa.com. The Dysport® trademark is used under license. All trademarks are the property of their respective owners. If you’re investing in Juvederm or Restylane to plump your skin or Botox and Dysport to relax your lines and furrows, you will want to look your best as soon as possible, which means avoiding the bruising that can be a normal side effect of these treatments. Bruising occurs when injectable treatments injure your capillaries, causing them to leak blood into the surrounding areas. If you want your skin to look good, then you have to treat it well. As a first step, use a facial cleanser that’s right for your particular skin type. Toning is also important because it balances the skin and prepares it for moisturizer. Moisturizers and special treatments nourish the skin, keep it supple, and target particular areas of concern. 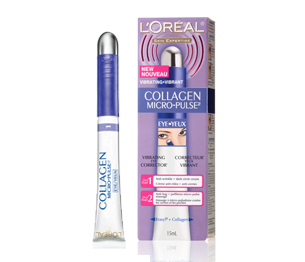 Collagen Filler isn’t an add-on to complicate your skincare regimen. It simply takes the place of your current moisturizer and eye treatment, and then goes the extra mile to help give you younger-looking skin. Apply with a gentle massaging technique to increase product benefits and helps de-stress the skin. How Do Collagen Biospheres Work? The Collagen Biospheres in Collagen Filler penetrate the surface of the skin, come into contact with water found naturally in the skin, and expand up to nine times their volume to fill in fine lines, soften crow’s-feet and diminish expression lines. The result is an immediate tightening effect that you can feel and see.